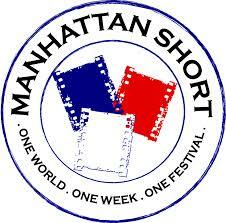 Come join us when over 100,000 film lovers in over 250 cities across six continents view and vote on the Finalists' Films in the 18th Annual MANHATTAN SHORT Film Festival. The MANHATTAN SHORT Film Festival is an instantaneous celebration that occurs simultaneously across the globe, bringing great films to great venues and allowing the audiences to select their favorites. The Film Festival occurs globally in all 50 states and cities worldwide including Sydney, Mumbai, Moscow and Cape Town. The event in Durham will take place at Motorco on Tuesday, September 29 at 7 pm. Tickets are $10 each. Tickets must be purchased through the following link which will take you to the Motorco purchase site! Viewing starts at 7 pm. We plan to get together at 6 pm before the showing at Motorco to have dinner and drinks at Parts & Labor (Motorco's outdoor dining area).